Palzuelos is one of the few towns that preserves, almost entirely, its whole wall, making it so that access to it is only through its gates. 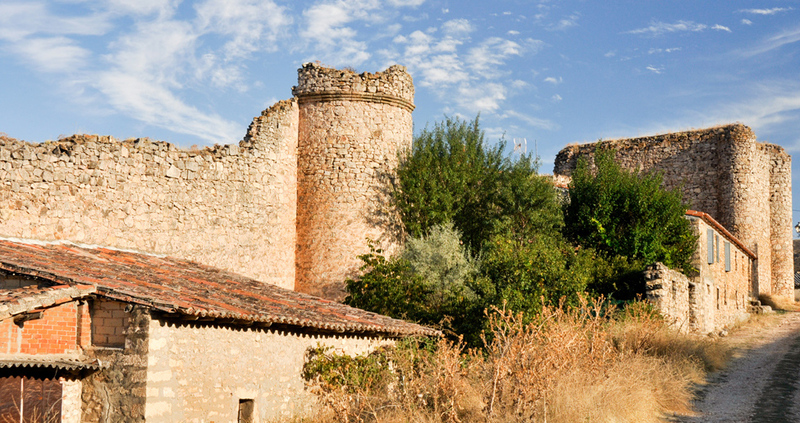 This, along with its castle, transports us to a true medieval walled city. Cylindrical towers at the corers of the wall, and a large tower keep connect to the eastern wall. 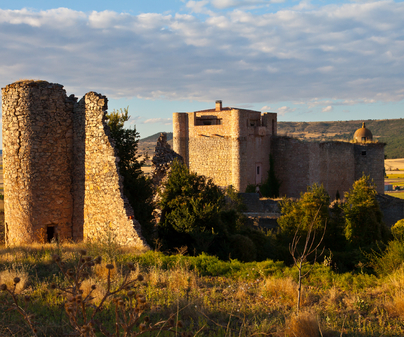 The castle is the strongest point of the bulwark, part of which surrounds the whole town. It was ordered built by Iñigo López de Mendoza, the first Marquis of Santillana, and is attributed to the architect Juan Guas. The coat of arms of the Mendozas are over the entry gates to Palazuelos. Among its subsequent inheritors, the princess of Éboli stands out. It was used a short time as a flour factory in the 20th century, and currently it is in a process of restoration. Private property. Free access only to the exterior. Next to the main entrance of the wall, in a large square, is the pillory of Palazuelos. It is a column, an old symbol of the independent towns that were able to have a judge and impart justice themselves. The condemned ended up tied, many times, to the pillory, which preserves the irons in the upper part where the accused was exposed to public shaming.